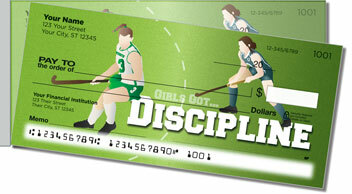 You may not hear a lot about this sport, but the world is quickly catching field hockey fever. 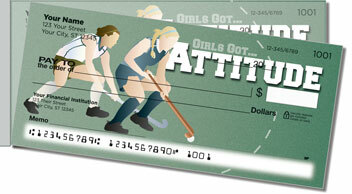 At the 2012 Olympic games, field hockey was one of the top three most-watched events. Take a closer look and you'll see why the fan base for this fast-paced competition is growing. Men's field hockey boasts the fastest swing out of any other sport. At 103 miles-per-hour, those funky curved sticks move even faster than baseball bats. 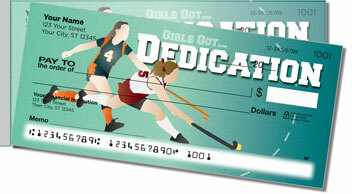 These unique, sports-themed personal checks let you put the excitement of field hockey in your checkbook instead of those typically dull designs. But the best part is how convenient they are. A shorter perforation on the left-side makes accidental rips much less likely than with traditional top-tear checks. Fewer wasted checks? Score! 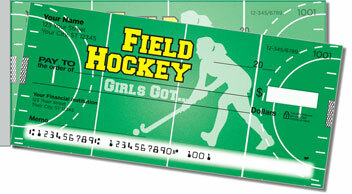 Get your own Field Hockey Side Tear Checks today! 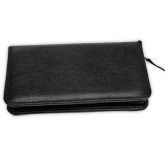 They are available with free shipping as well as matching mailing labels.